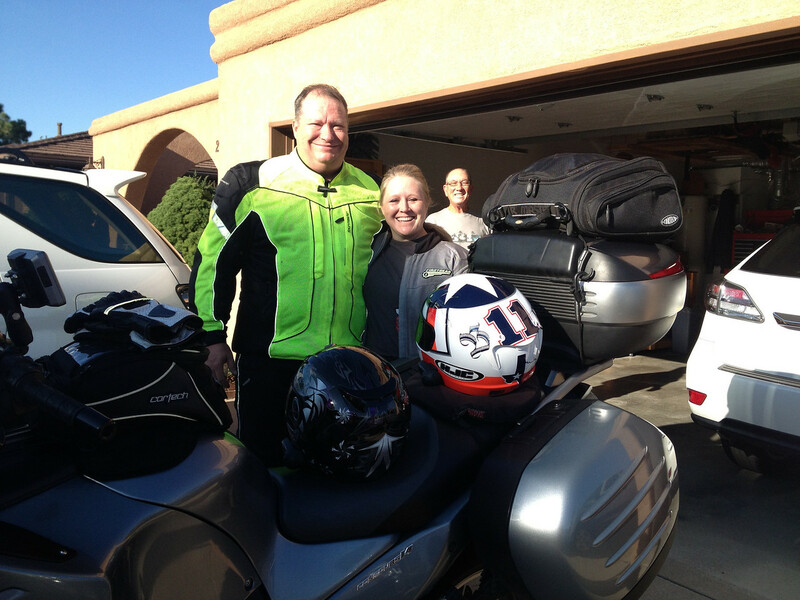 Moto Adrenaline: Our Colorado journey starts. We were up and loaded by 8am. We were going to take our time today. 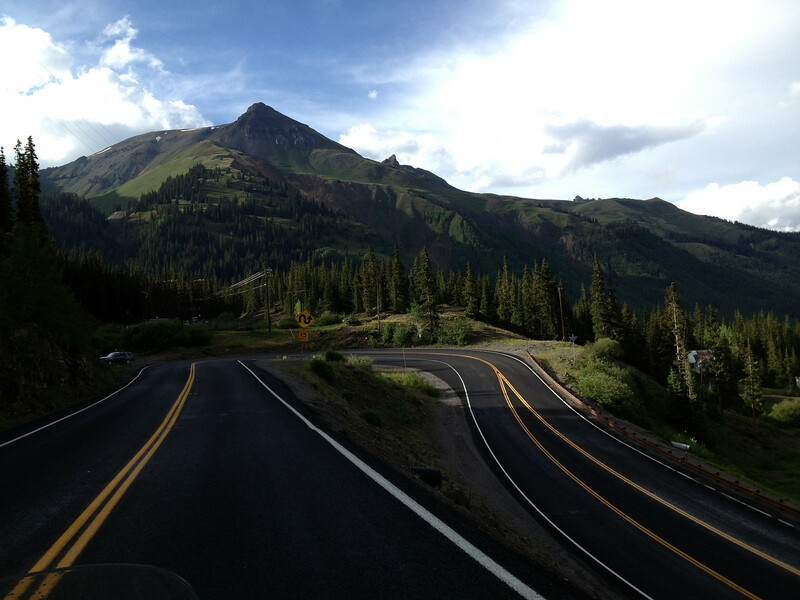 The final destination would be Ouray Co. The morning was beautiful. We loaded up and hit the road just a little before 9am. We decided to ride the back way up to Los Alamos and have breakfast in this little town best known for Los Alamos National Labs and being home to the famous Manhattan Project. 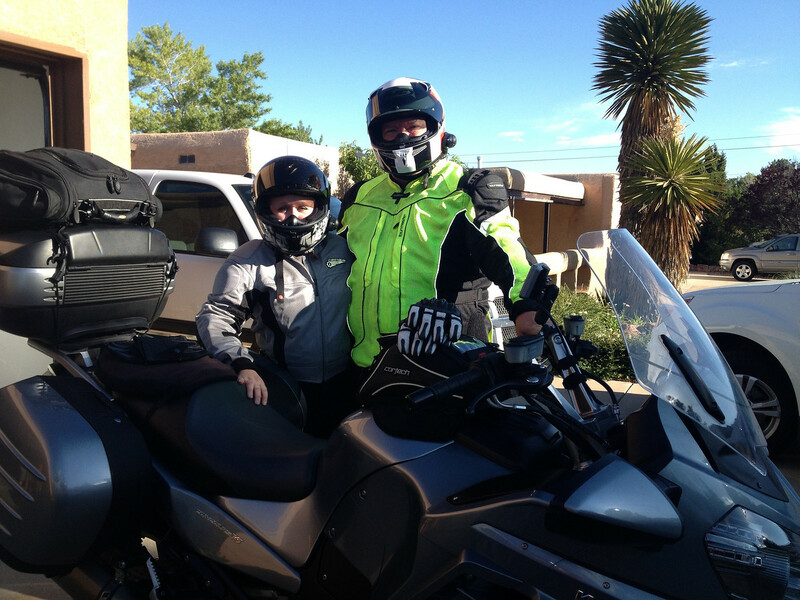 We enjoyed the ride up as the weather was awesome and the mountain roads were great. It had been years since I had been up there. I was surprised at the security. The entire town is under guard. It was a good place to stop and grab a bite to eat. 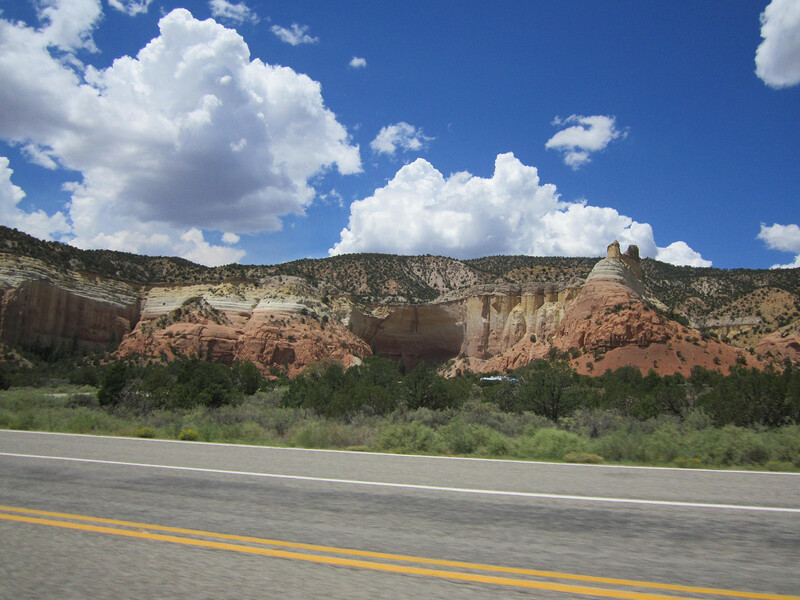 We headed north riding into Chama Nm and then heading towards Pagosa Springs Co. We had a nice ride, just enjoying the landscape and the cooler temps. 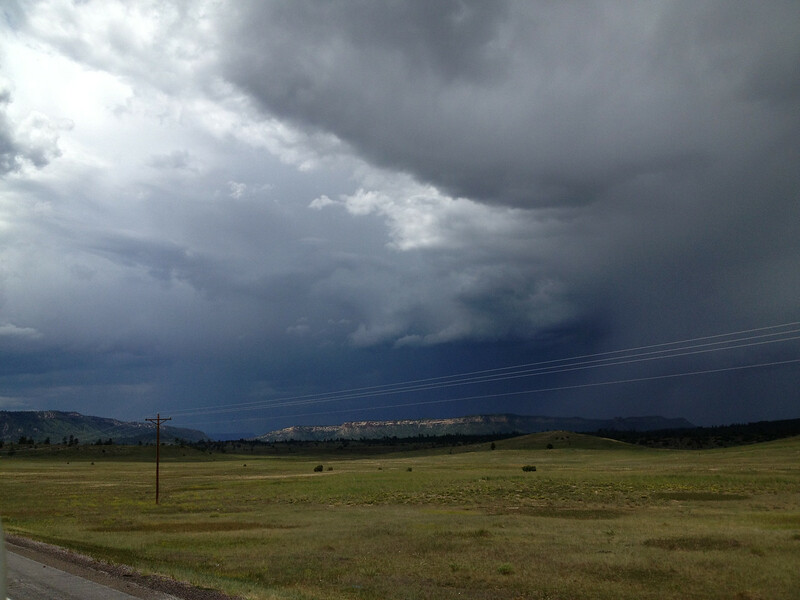 We thought we might get some rain, but we pulled into Pagosa Springs without a drop. The sky was so blue. 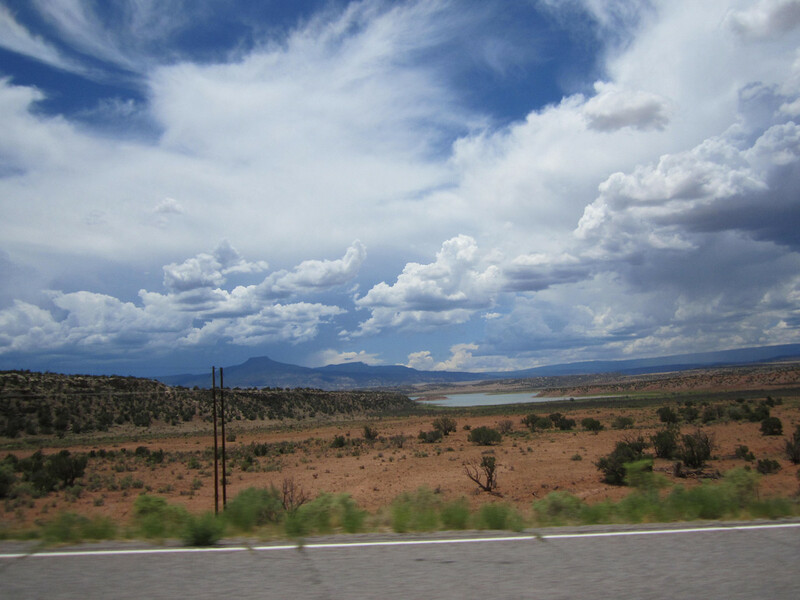 Love the landscape in NM. 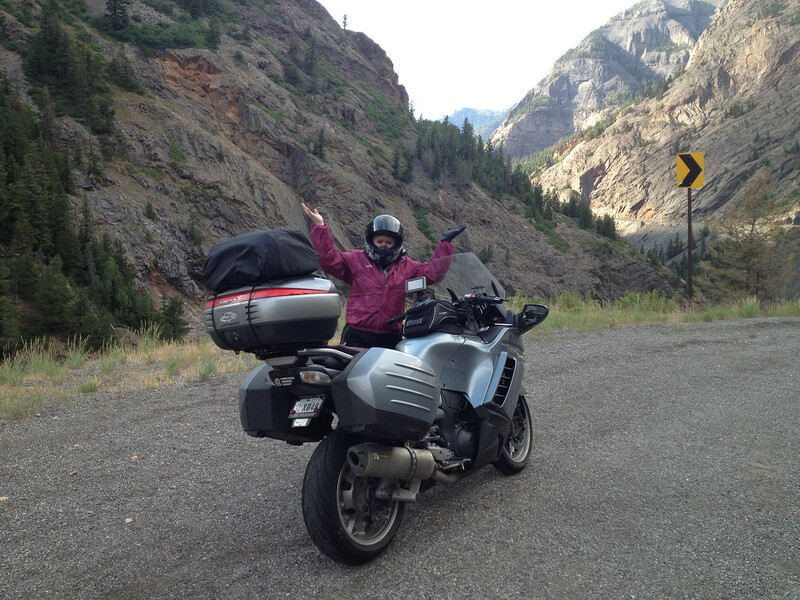 We made a quick stop in Pagosa Springs to get a snack and to put on some rain gear. it looked very wet in the direction we were headed. 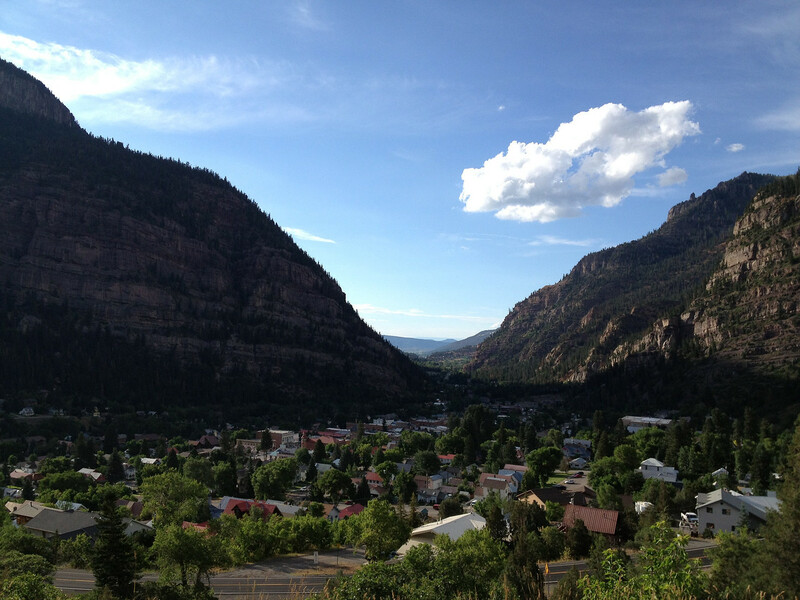 We were going to hit Durango and then ride US 550 to Ouray. I love that road but would prefer not to ride it in the rain. 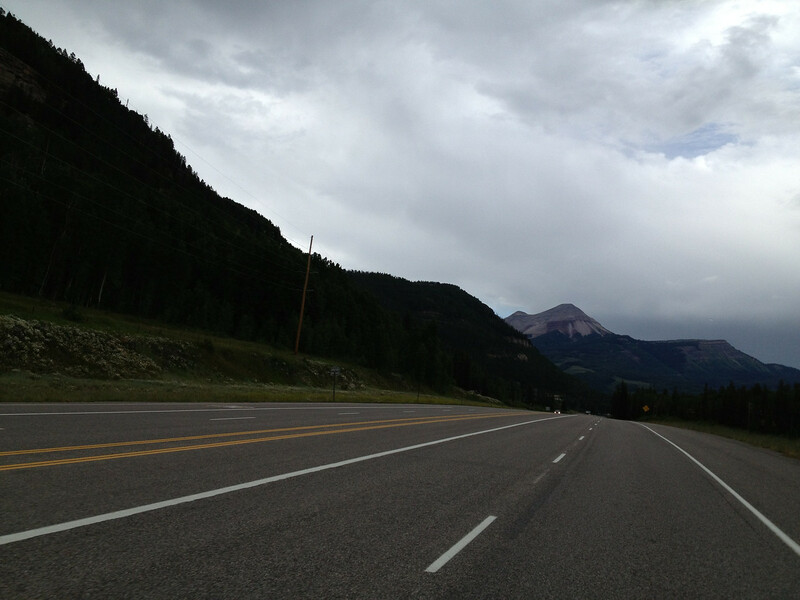 I forget how beautiful Colorado is. I am amazed every time we ride there. Everything is so breath taking. One day I will live in that beautiful state and get to enjoy it year round. Jamie likes it as well. We got some rain heading down 550 but nothing crazy. it was just a mild rain and cooled things off. 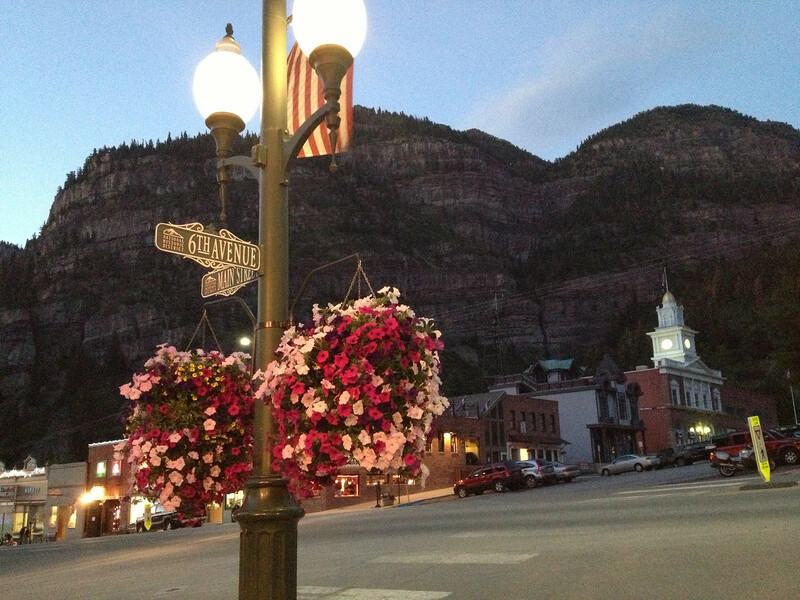 As we dropped into Ouray, we were ready to get off the bike and enjoy an evening of relaxation. The bike was filthy as the rain was just enough to make the roads wet and dirty. It would be the only rain of the trip. 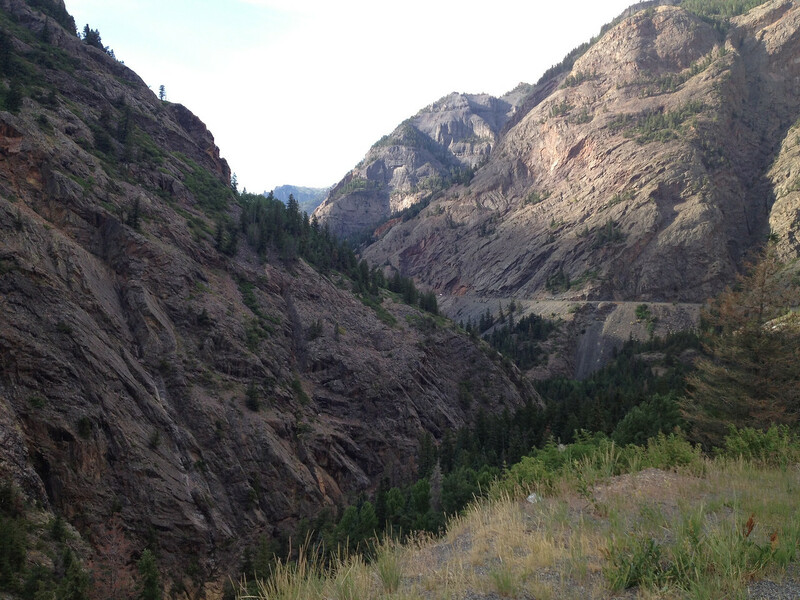 We pulled into Ouray around 5pm. 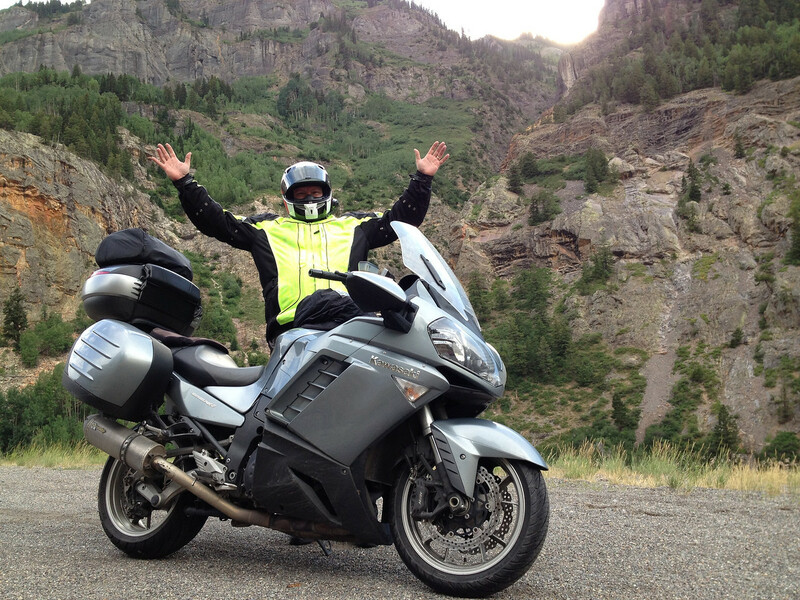 We rode up into the Ouray Hotel and the owner was out front making sure that we were guests. I guess parking becomes a premium and he wanted to make sure we had a good place to park. 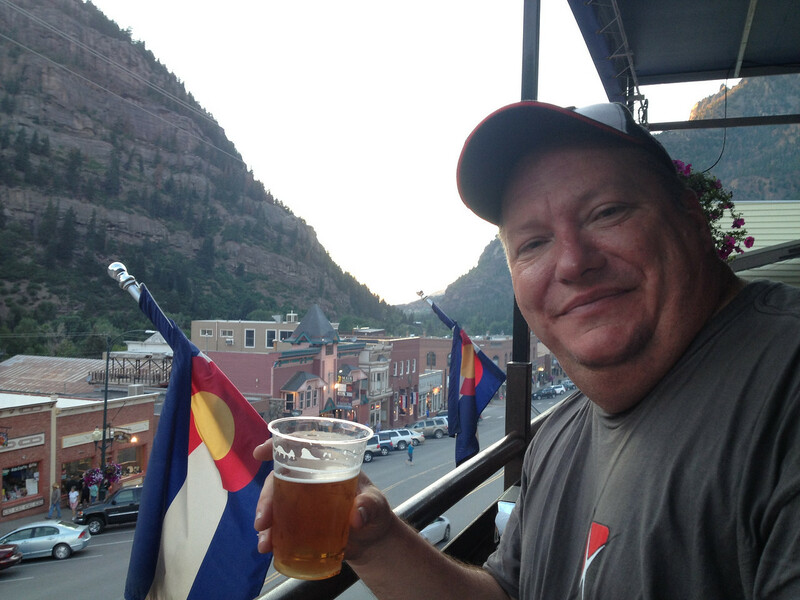 The hotel was ok, nothing great but it was clean and the good news was it is right across the street from the Ouray Brewery. We headed over there after unpacking to have a beer and enjoy some dinner on their rooftop seating area. It was an awesome way to end the day. We went across the street for ice cream before heading to bed. i\It had been a good 450 mile day and we were beat. It was a good tired, a motorcycle tired and yes, I could not wait to get up and to it again tomorrow. Guys, I hope you have a great trip. Looking forward to seeing the pics. Wish I was out on the open road rather than being stuck in work.